The XRSTM family is a new Australian Made radio platform designed to be smart, adaptable and rugged. 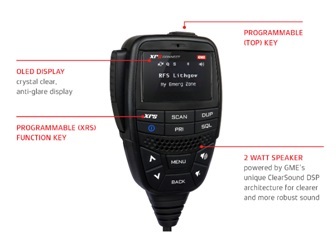 Enabled by BluetoothTM Smart technology, XRSTM is the first of a new generation of connected UHF radios with unique features never before seen. 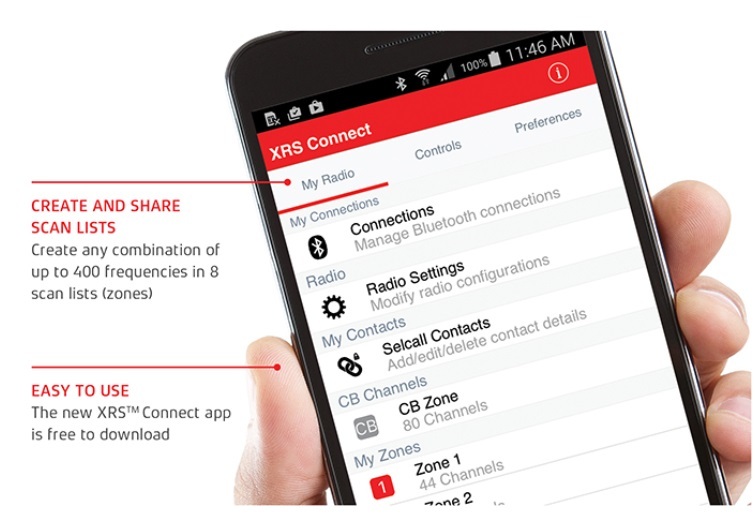 The XRS App combines easy to navigate menus with the familiar technology of a smart device to control the features and settings of the radio. 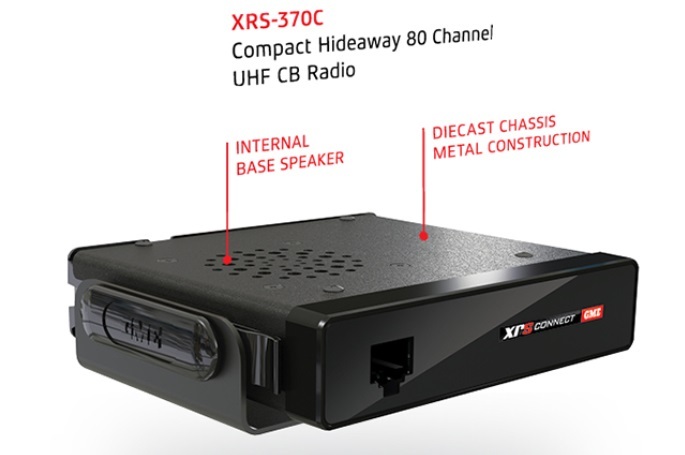 Australian and New Zealand registered analogue frequency database. a powerful 2 watt front facing speaker and customisable buttons. 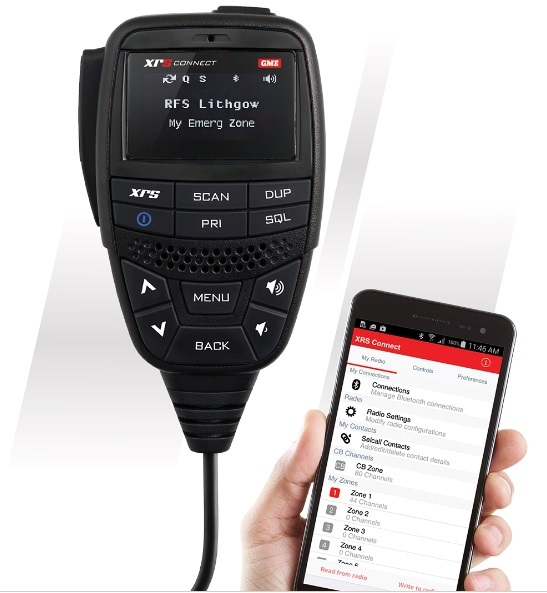 latest suite of unique features. grade strain relief and OLED screen make this microphone as durable as they come. Available in two convenient hideaway models.